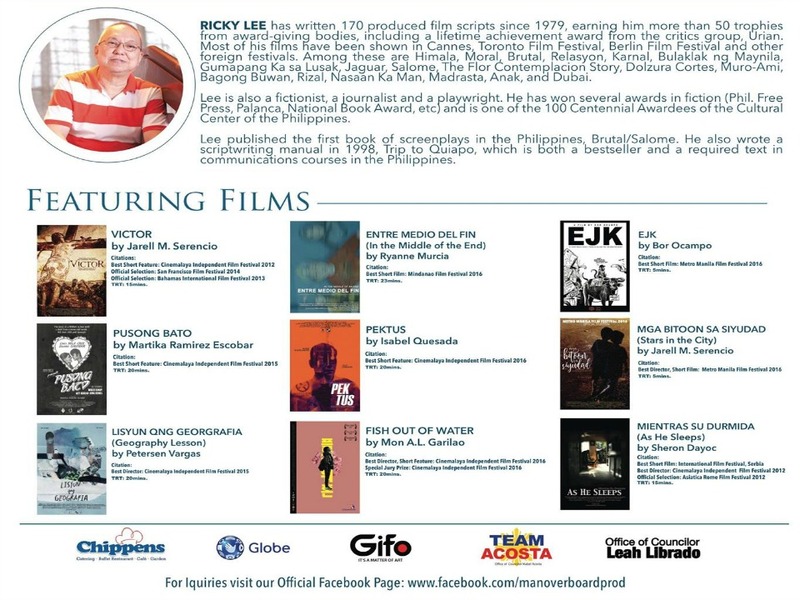 Home Scriptwriting Workshop Multi-Awarded Screenwriter Ricky Lee to hold Workshops in DAVAO CITY! Multi-Awarded Screenwriter Ricky Lee to hold Workshops in DAVAO CITY! 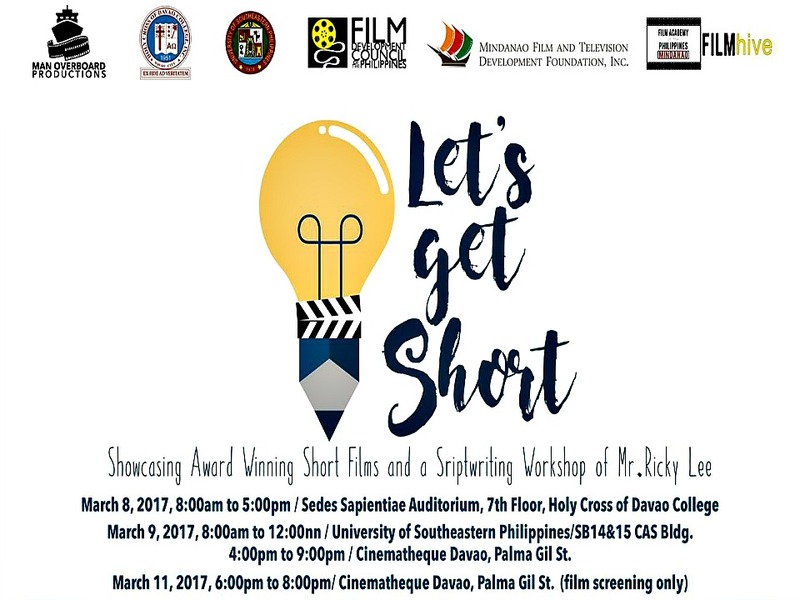 Month of March is the busiest month of the year here in Davao City, aside from celebrating the 80th Araw ng Davao it's also the exciting week for the Davao City's Film Community as Man Overboard Production's LET'S GET SHORT! Events kick into gear on March 8, 9, and 11. 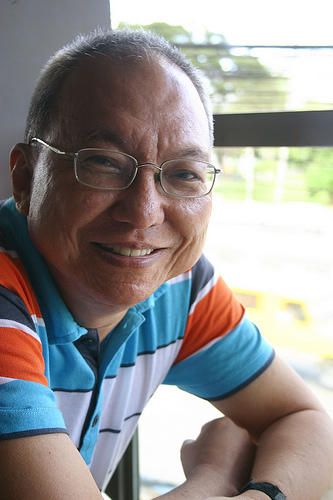 Ricardo "Ricky" Lee, the renowned scriptwriter, journalist, novelist and playwright who is celebrating his birthday this March, will be visiting Davao City after almost 20 years. 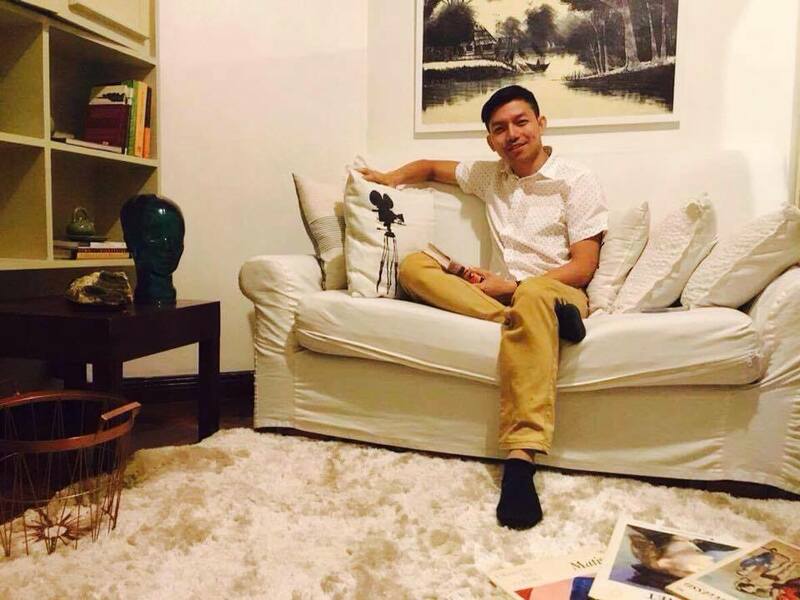 Man Overboard Productions Founder and Davao Filmmaker Jarell Mahinay Serencio had been dreaming about an event like this for Davao City. He participated in the first batch of Ricky Lee's Scriptwriting Workshop sponsored by ABS-CBN back in 2003. Serencio went to Manila after graduating from the Holy Cross College of Davao with a degree in Mass Communications. There were over 2,500 applicants who lined up on the ABS-CBN compound in Quezon City as early as 4am. They came from all over Metro Manila, and as far as Ilocos Norte in Luzon and cities in Visayas and Mindanao. Only 39 of them passed and were given a chance to be mentored by Lee, and Serencio was one of the 39. Serencio credits Ricky Lee of his growth as a writer. Lee served as Creative Manager of "Sana'y Wala Nang Wakas" a soap opera starring Jericho Rosales and Khristine Hermosa. And Jarell Serencio is one of the contributing writers and that was where it all started. "This kind of opportunity doesn't come along very often. If you are serious about honing your craft, then you should make a priority to attend this event. It might change your life. like it has changed me." ~Serencio added. As of this writing, registration for the LET'S GET SHORT! Events at HCDC and USeP are now officialy closed. But, for those who wish to join Ricky Lee's Workshop on March 9 at the FDCP Cinematheque Davao, you may register at Let's Get Short Film Screening Event Facebook Page as there are LIMITED slots available. You may register as an Individual or Group, School Org or Film Club. Registration fee is only P300 per head, Ricky Lee's books will also be available at FDCP Cinematheque Davao starting March 4(Saturday). Trip to Quiapo copies are selling by the dozen and those who have already pre-paid can pick up their copies at the Cinematheque Davao starting March 3. FILM Screening of Award Winning Short Films will also be held at HCDC on March 8 (Exclusive for Davao City National High School Senior High Students and Holy Cross students) and on March 11 at the FDCP Cinematheque Davao 6PM. ADMISSION IS FREE!!! Entre Medio del Fin (in the Middle of an End) by Ryanne Murcia, won the Best Film award at the Mindanao Film Festival last 2016. Murcia will be joining Serencio for Q&A after the film screenings on March 8 and 11. Man Overboard Production would also like to thank everyone who have been working alongside with them to make this event happen.